Stir in mustard to pan, let simmer for 20 minutes (stirring occasionally) until slight reduced. Looks good! SC style with a kick. That sounds (and looks) great, Crispee! Thanks for sharing the recipe! That looks awesome! Love that you can multipurpose it as a base for other sauces as well.. (mmm. Stone crab). Saving this one - Thank you for sharing! Thanks for your recipe and a really big thanks for your enhanced versions..Your base sauce is really close to what I do for a mustard bbq except for the peppers and I add a little ketchup..I usually use cayenne for my heat..But I'll be giving yours a try..
How long time can you save a salsa in a jar in the fridge before it gets old? I usually use it all up with a short period of time, but I would imagine it would last refrigerated for a good month or more. Is the butter required? 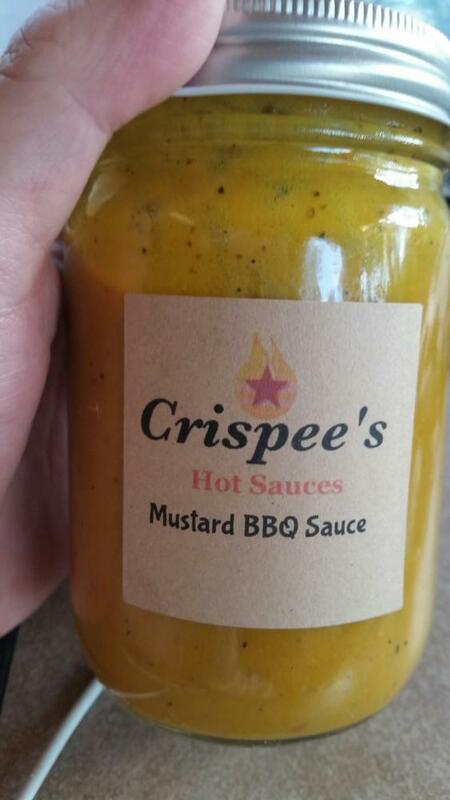 I am trying to create a mustard bbq sauce for christmas but would want to make it early. I am still new to the sauce and bbq sauce world- so not sure how fats and oils keep. I see it is mentioned it would keep up to a month or so in an above post you made- but wondering if that could be longer without the butter? Is bbq sauce something you have to check ph level for as well and does butter affect that? Secretly I am an Aardvark. Hey there! You can substitute the butter with an oil such as olive oil, but you still need to sauté those onions down to bring out the sugars. To be safe I would suggest a cheap ph tester to make sure its in the proper range and sterilize your utensils and jars before hot packing it. I have never made this sauce with shelf life in mind, as I use it up pretty quick.